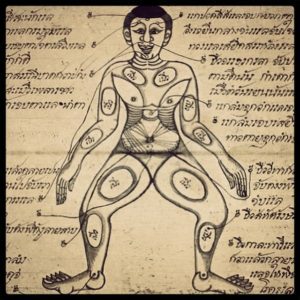 Jim is a member of the Naga Center Teacher’s Guild, a small international affiliation of Thai medicine instructors who have been trained to offer certain Naga Center courses. Students who have studied with a Naga Center Guild instructor often have the opportunity to repeat any course already taken as an intern, with the same, or another Guild instructor for free or for heavily discounted rates. Additionally, students who have taken Naga Center foundational courses with any Guild instructor are able to take advanced Naga Center courses. All Naga Center Guild teachers have studied extensively with Nephyr Jacobsen. Workshop will be held at The Emerald Acupuncture Center. No previous bodywork experience is necessary, pre-registration required. Workshop taught by Jim Madras, LMT #7853.